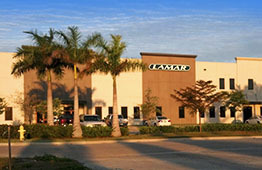 We are proud to serve the advertising needs of Fort Myers and Southwest Florida. With our extensive inventory of premium Billboards, Posters, Digital Displays and the best team in the business, we will help you craft a campaign and successfully reach your target audience. Southwest Florida is rich in natural resources and unique attributes which make it a destination to 4.8 million visitors per year. The pristine beaches, boating, golf and shopping make Southwest Florida a premier destination for travelers from all over the world. Our billboards are in prime locations, whether you're driving to a Major League Baseball spring training game in Fort Myers or heading to a Naples beachfront resort, your message will be certain to catch the eye of your target demographic. With so many opportunities to showcase your message, Fort Myers provides a fantastic backdrop to introduce new products and services, initiate a call-to-action or highlight the success of a well established brand.